﻿	Buddhist Tour Package in India –Buddhist Temple Tour India. Buddhism has deep roots in India. Founded and established by Lord Buddha, trace the origins and teachings of the lord. Traveling to the important Buddhist sites of the world helps in understanding and experience Buddhist teachings and lifestyle. Indian Pilgrim Tours presents the Buddhist Pilgrimage Tour. The itinerary for 10 Days and 9 Nights covers various Buddhist sites like Varanasi, Bodhgaya, Kushinagar, Sravasti and Lucknow. The journey offers you the opportunity of knowing the life story of Lord Buddha. All these Buddhist sites are unparalleled in their own way. Embark on the soul cleansing journey with us. Arrive at the Delhi Airport. Meet our tour representative and avail the transfer to hotel. Check-in and rest in the hotel premises or go exploring the city of cities. Return to hotel for overnight stay. Start the day early with breakfast. Check-out of your hotel and drive to Agra. En-route visit Mathura, Vrindavan and Sikandra. Mathura and Vrindavan are holy pilgrimage sites as Lord Shri Krishna is said to have been born here and spent his childhood here. The city is replete with a divine charm where every temple, every market and every home is devoted to the lord. 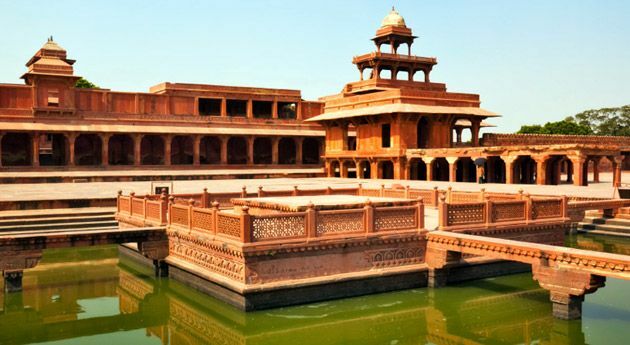 Sikandra is a city with the Mughal charm. Visit the Tomb of Akbar the Great, an important Mughal architectural masterpiece. 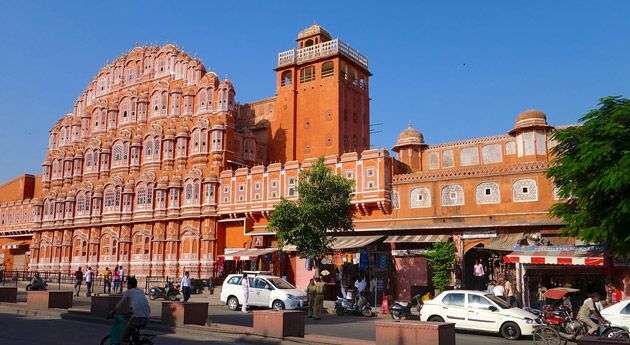 On arrival in Agra get a transfer to hotel. Check-in and relax. You can opt to explore the vibrant markets in the evening. Get ready for shopping as well as delicious treats. Return for the hotel for overnight rest. Start the day with an early morning visit to Taj Mahal. The sunrise view of the vision in white marble, the icon of love is one of the sights one treasures in memories. Taj Mahal, the pinnacle of Mughal architecture, was built by the Mughal emperor Shah Jahan (1628-1658), in the memory of his queen 'Mumtaz Mahal'. One of the Seven Wonders of the World, the UNESCO world heritage site has visitors from far ends of the globe. Return to the hotel for breakfast. After the scrumptious meal visit the Agra fort. Avail the evening transfer to Railway station for Varanasi. Overnight stay in the train. One arrival at Varanasi Railway station, get a transfer to hotel. Check-in and freshen up. Leave for Sarnath. Sarnath is blessed with the extraordinary privilege of being the site where Lord Buddha delivered his first sermon after attaining enlightenment 2500 years ago. About 10 km from Varanasi, Sarnath is home to many other Buddhist relics. Though in ruins you can feel their splendor shining through. The famous Buddhist sites that include the famous Dhamekh Stupa, the seat of the holy 'Buddha'. Do not miss the visit to the ruins of Dharmarajika Stupa and Mulagandha Kuti Temple, where Lord Buddha is said to have rested and meditated while in Sarnath. The Ashoka Pillar built by the Emperor Ashoka is also a must see in Sarnath. The Lion Emblem built on top of this pillar is now the National Emblem of India. Wait and explore the relics kept in the museum known for its excellent artistry and carvings. Return to Varanasi. Leave for a city tour and some shopping. The holy city is settled on the banks of River Ganga. Older than civilization, the city is known for granting salvation to devotees. The temples, the river ghats, hymns, chants, aromas create a powerful spell than transcends you to divine bliss. Visit the Kashi Vishwanath Temple, Assi Ghat, Dasawamedh Ghat, etc. Do not miss the evening aarti ceremony. Heavy brass lamps, chants, flowers and small diyas pay homage to Ganga, the river goddess granting salvation to souls. Return for overnight stay at hotel. Start the day as you begin the 8 hours journey to Bodhgaya, one of the most sacred Buddhist pilgrimage centers in the world. It was here under a banyan tree, the Bodhi Tree, Siddhartha Gautama attained supreme knowledge to become Lord Buddha. On arrival in Bodhgaya, check-in to your hotel. In the afternoon go sightseeing. Start your visit with Mahabodhi Temple, Bodhi Tree and Great Buddha Statue. Stop at the Niranjana River where you have to get to the other side to visit Sujata Temple. To reach the temple there is a 30 minutes’ walk through the paddy fields. 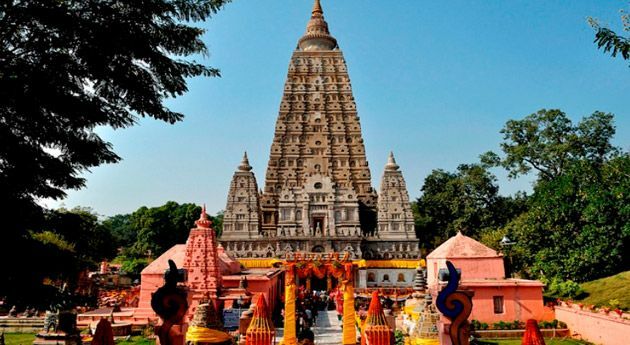 Do not miss to visit the various other Buddhist Temples in Bodhgaya. Early morning drive to Kushinagar with a stop for hot lunch on the way. On arrival check-in at hotel. Overnight stay at hotel. 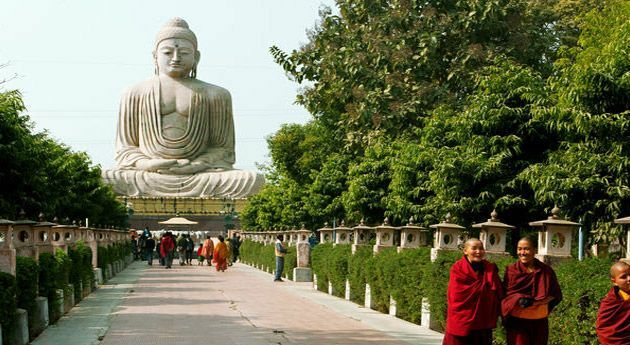 Kushinagar is one of the holiest places for Buddhist pilgrimage. The Lord Buddha is aid to have left his body for his heavenly abode. After breakfast visit Mahaparinirvana Temple, Rambhar Stupa and the Japan Temple. The Mahaparinirvana temple stands testimony to the mournful demise of Lord Buddha. 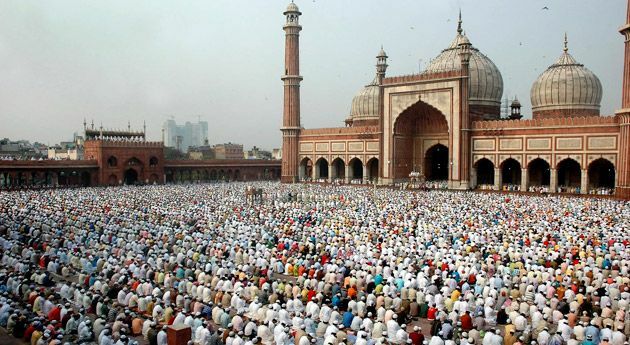 Pilgrims visit the holy place to be blessed by the divine aura. There are various stupas in Kushinagar to be visited, but the most significant one is the Rambhar Stupa where Lord Buddha was supposedly cremated. Post your visit and lunch begin a 5 hours’ drive to Lumbini (Nepal). While going to Lumbini, stop at India/Nepal border for Visa/Immigration formalities. Later, check-in at Hotel. Overnight stay at hotel. Enjoy a leisurely morning breakfast after which you visit Lumbini, the Birth place of Lord Buddha. In the afternoon drive to Sravasti. Sravasti is the capital of the ancient kingdom of Kosala. The city had the honor for sheltering Buddha for 24 rainy seasons in the Jetavana Gardens. It is sacred to Buddhists. Pilgrims pay homage to the holy site because it is here that Lord Buddha performed the Tirthika heretics. On arrival, check-in at hotel. Overnight stay at hotel. Start the day with breakfast, post which you visit Jetavana and Ananda Bodhi Tree. These holy sites mark the 24 rainy seasons spent by Lord Buddha. Later drive to Lucknow, at a 129 km distance. On arrival in the city, transfer to Railway station for Delhi. Overnight stay on the train. On arrival at Delhi railway station meet with our representative and transfer to the hotel. Freshen up and leave for the city sightseeing tour of Old and New Delhi. In the evening, avail transfer to the airport to board the flight for onward destination.